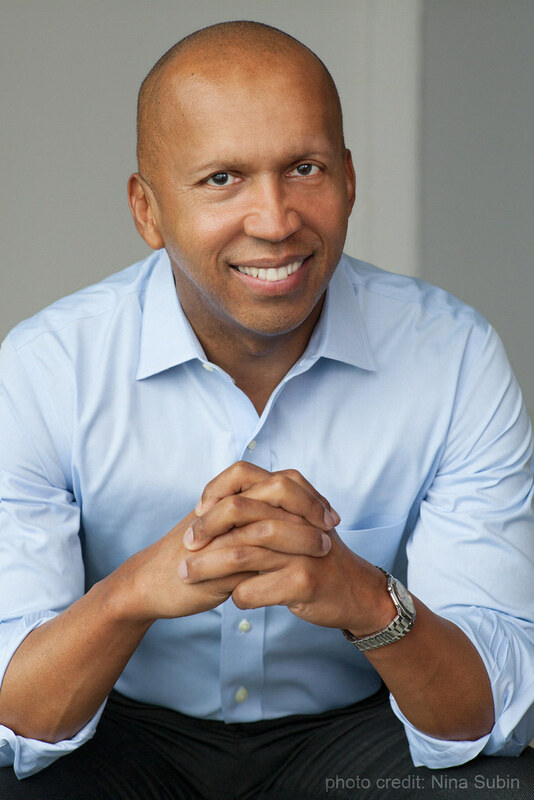 Bryan Stevenson, author of Auburn's 2016-2017 Common Book, will give a public lecture on campus Tuesday, Aug. 30, at 7 p.m. in the Student Center Ballroom. Stevenson's memoir "Just Mercy: A Story of Justice and Redemption" was selected for Auburn Connects! Common Book program, and all incoming freshmen received a copy of the book at Camp War Eagle. "When selecting the annual Common Book, we focus on finding stories which reinforce the key elements of the Auburn Creed: working hard; the value of education; being respectful and developing soundness of body and mind within oneself and one's community; and the desire for equal rights under the law and obedience to the law," said Melissa Baumann, associate provost for undergraduate studies. "Not only was 'Just Mercy' selected as the 2016-17 Common Book for these reasons, but Mr. Stevenson exhibits these qualities within his lifework, and his impact both in Alabama through the Equal Justice Initiative as well as nationwide also naturally influenced us in our selection of this book." In the book, Stevenson reveals many of his experiences as an attorney defending those on death row. Stevenson is the executive director of the Equal Justice Initiative in Montgomery, Alabama, and a professor of law at New York University School of Law. He has won relief for dozens of condemned prisoners, argued five times before the Supreme Court and won national acclaim for his work challenging bias against the poor and people of color. He has received numerous awards, including the MacArthur Foundation "Genius" Grant. "Mr. Stevenson is not afraid to discuss difficult issues – racial inequality, corruption, and capital punishment to name a few – but more importantly, he illustrates through his text that it is the fear of such discussion, the fear of critical thinking and standing up for what is right and just, which may be the most important and most difficult obstacle to face," Baumann said. Following his lecture, Stevenson will host a question-and-answer session and book signing. Those planning to attend are encouraged to send questions before and during the event by using #AUAsksBryan on Twitter. Auburn Connects! Common Book Program is an initiative of the Office of Undergraduate Studies. By creating a shared reading experience for students, faculty, staff and the wider Auburn community, Auburn Connects! seeks to provide insight into the human condition while developing lifelong habits of intellectual curiosity and engagement. Direct all questions about this year's Common Book to AUCommonBook@auburn.edu and follow the Common Book program on Instagram and Twitter at @AUCommonBook.